Ever since it was released, Donnie Darko, written and directed by Richard Kelly, has turned into one of the most talked-about cult classics in contemporary American cinema. Like other films with a similar cult status, Donnie Darko relies on rather odd symbolism to make its point across. When a film suprises you and steps away from convention, it often stays with you well after you are done watching it. More than statements that push the story forward, these so-called symbols used by directors such as Kelly act as placeholders that allow us to remember a film for many years, maybe for our entire lives. 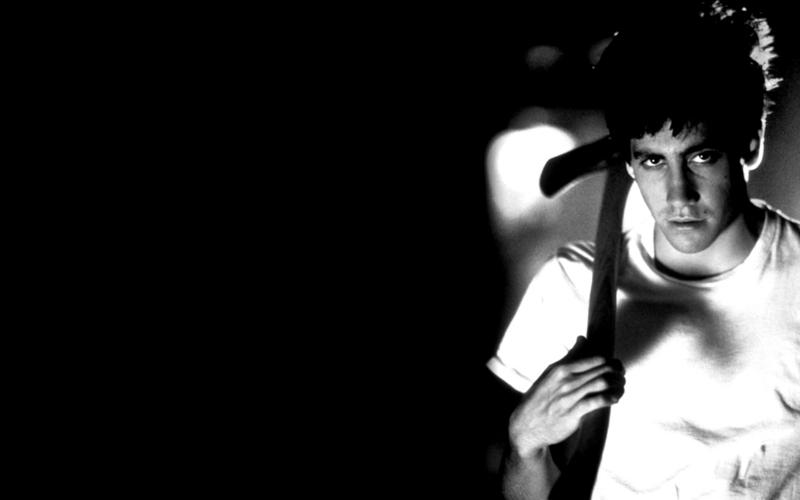 Films like “Space Oddissey” or “Pi” offer uniqueness and originality in a medium that is hostage to convention. Similarly, Donnie Darko’s story is told through very peculiar imagery that becomes impossible to forget. How can one separate the creepy person wearing a menacing-looking rabbit costume from Donnie Darko? Even those that come out disliking the movie can never walk away completely from images like that.Truly successful films leave something in the viewer that remains over time. Donnie Darko challenges the audience by posing complicated existential questions that are carefully embedded inside a fictional tale set in early nineties American suburbia. When I was done watching the film, I thought I had understood what really takes place, but I was surprised to find an entire online database that tries to explain, as easily as possible, the true mysteries behind Donnie Darko. Their conclusions, which are corroborated by the film’s director, were somewhat different from mine, and so were the opinions of many other viewers who seem to have gotten something entirely different from their experience. 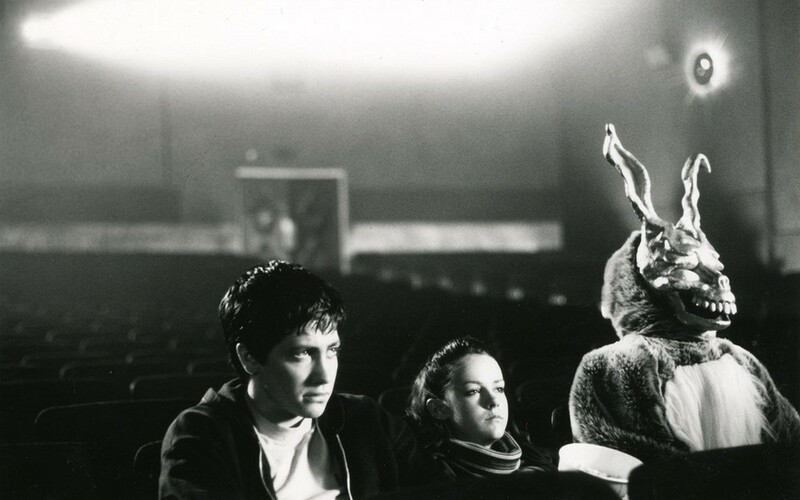 A question then arises: Is the fact that Donnie Darko is open to interpretation a good thing? The answer may not be the same for all us. I suspect that most movie-goers have been predisposed, like I have, to gravitate towards stories that have a clear ending. However, Donnie Darko goes as far as to present enough clues so that we complete the puzzle for ourselves. In this context, I believe that the overall success of the film lies in its ability to seduce most of us (certainly not all of us) into willingly dissecting what we have just seen after the credits begin to roll in. Donnie Darko is also a strangely suspenseful thriller that borders on cliche but that never crosses the line. After all, it is not the first time (nor the last) that we will see a disturbing person wearing a Halloween costume in what appears to be a horror film. However, the bunny, whose voice is a strange mixture of Stephen Hawking and Chucky, acts mysteriously, never fully revealing its purpose. It is from this uncertainty that the film takes off, never failing to inspire curiosity. The name of the film comes from its lead character, played very convincingly by a young (and already promising) Jake Gyllenhall. Our hero is presented to us as an alienated teenager whose relationship with those around him is tense and awkward. One night he wakes up in a slumber and walks outside his house only to encounter the person in the bunny suit. Is he sleep-walking and dreaming all of it? Is he awake but hallucinating? Can he see something others cannot? Or is he simply crazy? These are just some of the questions that come to us and that are never truly resolved, at least not clearly. When I finally saw this film 4 years ago, I think it was built up too much. I just didn’t fall for it. I literally ask “was that it?” when I was done watching it. It has an interesting premise at least.